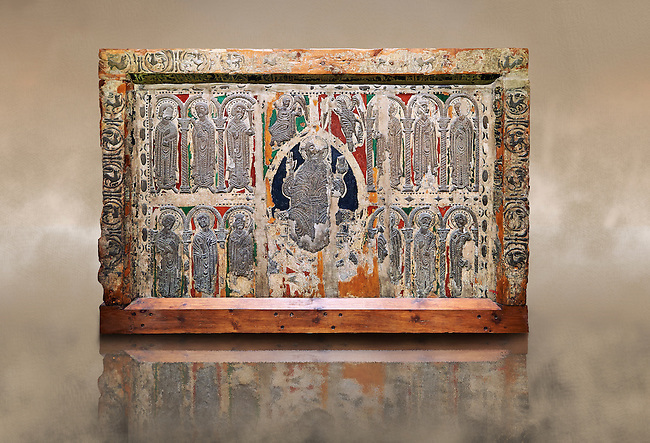 Romanesque painted altar front from the church of Saint Pau d’esterri de Cardos, Spain, Metal reliefs of Christ Pantocrator surrounded by the 12 Apostles. National Art Museum of Catalonia, Barcelona 1919-23. Ref: MNAC 15970.